Check out the consultants list! 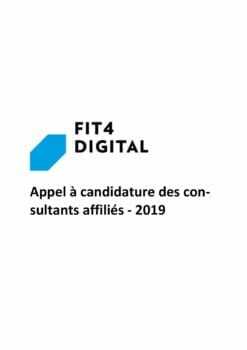 Who can be certified for Fit 4 Digital? What are your obligations during the Fit 4 Digital programme? Complete at least four “Fit 4 Digital” projects per year. When can I apply for Fit 4 Digital? Presentation of the consultant’s skills and experience. 2. Luxinnovation analyses the application file and invites the selected candidates for an individual interview. 3. Following the interview, Luxinnovation decides whether or not to approve the candidate.